FRANKFURT/WASHINGTON -- Volkswagen AG is closing in on a fix for 3.0-liter diesel-powered vehicles in the U.S. that would resolve part of its emissions-cheating scandal and reduce the risk of an expensive buyback program, people familiar with the matter said. The ongoing talks focus on ironing out final technical details and reviewing test results to ensure the reliability of a software upgrade, said the people, who asked not to be identified because the discussions are private. A new catalytic converter may accompany the upgrade to overcome concerns over the issue, which affects about 85,000 Audi, Porsche and VW vehicles. Talks between Volkswagen and U.S. regulators remain fluid and no final decision has been reached, the people said. While a recall plan for the 3.0-liter diesel engines was proposed in February, an agreement has been delayed as Volkswagen and U.S. regulators focus on the issues affecting about 480,000 vehicles with smaller engines that were deliberately rigged to pass official emissions tests. The ultimate timing of an agreement on 3.0-liter diesels depends on a broader settlement over the cheating scandal in the U.S., the people said. Representatives for Volkswagen and the EPA declined to comment. Volkswagen faces a June 21 deadline in the U.S. to finalize an initial agreement to fix or buy back 2-liter diesel-powered cars. 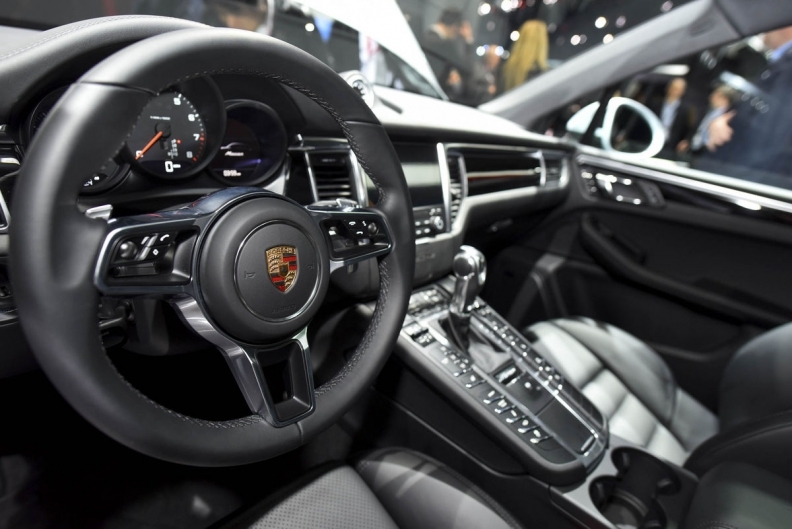 The issue affecting larger-engine VW, Audi and Porsche models wasn’t directly addressed in an April proposal to a U.S. court overseeing more than 600 lawsuits linked to the scandal. In setting the new deadline, Judge Charles Breyer temporarily set aside the 3.0-liter issue. A status briefing on the talks is planned for May 19. The questionable software in the larger motors was determined to be illegal “defeat device” software because of a timer to manage temperatures of the exhaust-cleaning system thereby affecting emissions readings. The engine is used in the Audi A6, A7, A8 sedans and Q5 and Q7 SUVs, as well as the Porsche Cayenne and Volkswagen Touareg SUVs. The 3.0-liter diesel engine was designed by Volkswagen’s Audi brand. The unit has set aside 228 million euros for costs stemming from the emissions crisis. That compares with an earnings hit of about 16 billion euros at Volkswagen’s namesake car brand for the scandal surrounding the rigged smaller engines.